“PUBG Mobile Stimulates the Battlefield” The new map is warm and rainy. More important than the players expect, there is a resource problem. After all, there is often a big difference between the choice of players and the players who play wild players. So what is the distribution of the major resource points in the rainforest map? Let’s take a look! Most of the low-level resource points are at the edge of the rainforest map. The material grade and material quantity are often not too rich, but sometimes it is not in most cases. Will encounter other enemies, the danger is extremely low. Novices and wild players can give priority to the following points. Tambang: Resource level 2, resource level 2, location close to the edge of the map, almost no one is falling, the risk factor is 1. Coconut Grove: Resource Level 2, Resource Level 1 The location is close to the edge of the map, almost no one is falling, the risk factor is 1. Rakawi: Resource level 3, resource level 2, the location is close to the edge of the map, occasionally a number of enemy landing points, the risk factor 2. 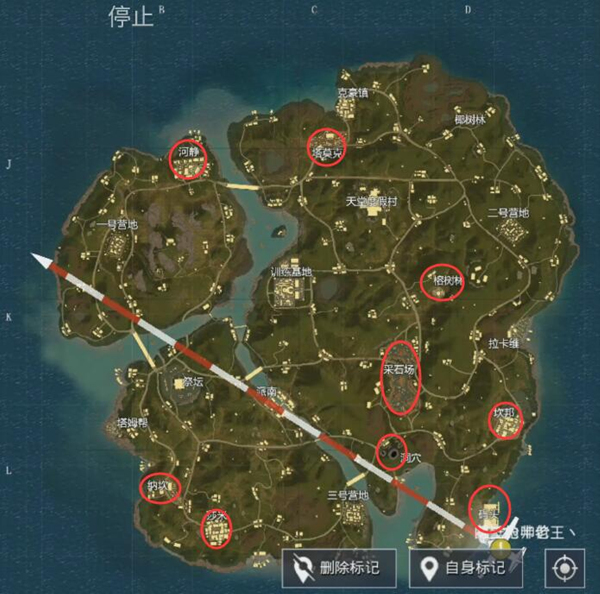 Baan Tai: Resource level 1, resource level 1 The location is close to the edge of the map, occasionally a small number of people drop, the risk factor is 1. Most of the intermediate resource points are in a special terrain, with abundant resources, a large number of people, and a medium risk factor. Teamed up. Hejing: resource level 3, resource level 4, location close to the edge of the map, but convenient transportation, occasional number of people falling, hazard coefficient 2. Tamok: Resource level 3, resource level 2, location close to advanced resource points, convenient transportation, drop point The number of people is average and the risk factor is 3. Eucalyptus: resource level 3, resource level, The position is relatively independent, the search is convenient, the number of people in the drop is general, and the risk factor is 3. Quarry: Resource level 2, resource level 3, the location is biased towards the center of the map, the terrain is simple, easy to search, the number of people dropping is large, and the risk factor is 3. Cave: resource level 3, resource level 4, The location is relatively independent, but the traffic is convenient, the search process is slightly complicated, the number of people dropping is large, and the risk factor is 4. Terminal: resource level 4, resource level 3, The location is close to the edge of the map, the traffic is slightly inconvenient, the number of people in the drop is general, and the risk factor is 3. 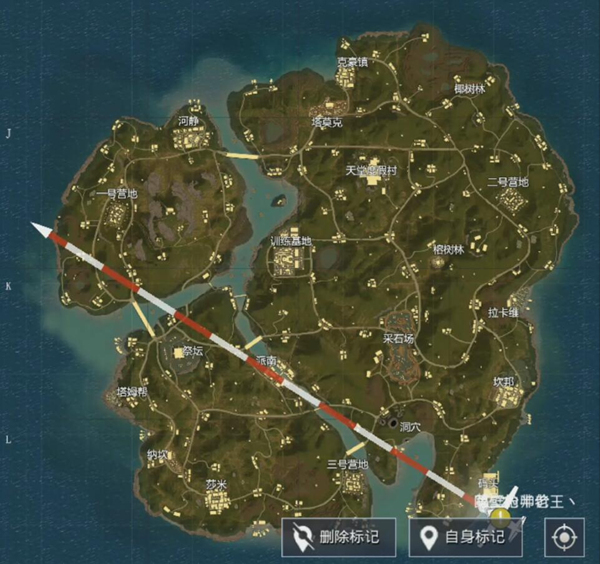 Nakan: Resource level 3, resource level 2 The location is close to the edge of the map, the traffic is better, the number of people dropping is less, and the risk factor is 2. Kanbang: resource level 4, resource level 3 The location is close to the edge, but the traffic is convenient, the number of people in the drop is general, and the risk factor is 3. Sami: Resource level 4, resource level 2 The location is close to the edge of the map, the building is dense, the search is fast, the number of people in the drop is general, and the risk factor is 3. Most of the advanced resource points are at the key position of the map, and the area is not only the materials Rich, and more vehicles, convenient transportation. However, the number of people on the landing is too much, and it is generally preferred for players who have just shot. 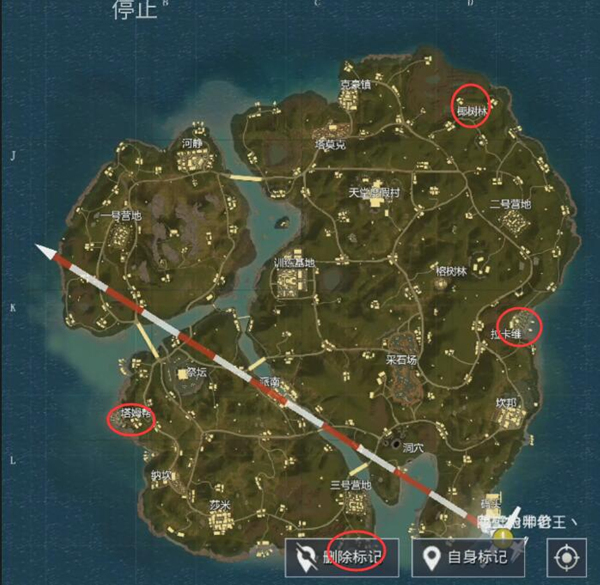 克毫镇: resource level 4, resource level 3, the location is close to the edge of the map, but the construction cheats are convenient for transportation, the number of people dropping is large, and the risk factor is 4. Camp No. 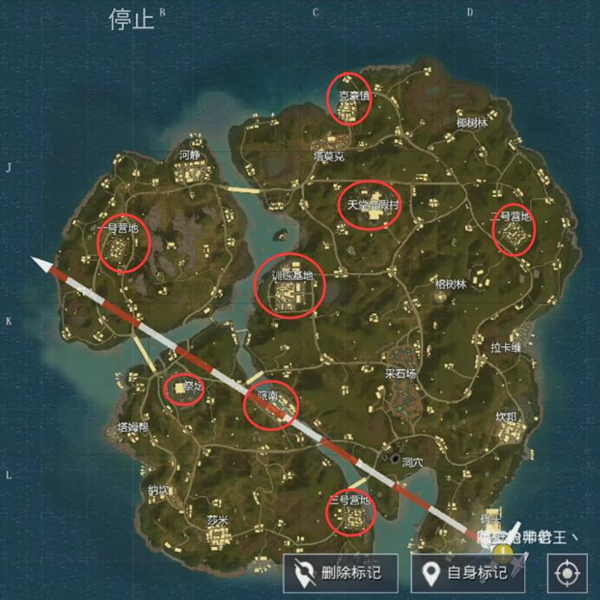 1: Resource Level 4, Resource Level 3, the location is close to the edge of the map, the building is dense and convenient, the number of people is more, the risk factor is 4. Camp 2: Resource level 4, resource level 4, the location is close to the edge of the map, home and intensive traffic is convenient, the number of people dropping is more, the risk factor is 4. Camp 3: Resource level 4, resource level 4, is located in the edge of the map, but the traffic is convenient, the number of people dropping is very large, the risk factor is 5. Paradise Resort: Resource level 5, resource level 5, located in the northern part of the map, convenient transportation, There are a large number of people dropping, and the risk factor is 5. Training Base: Resource Level 5, Resource Level 5 It is located in the center of the map, with convenient traffic and a large number of people. The risk factor is 5. Altar: Resource level 3, resource level 5, It is located in the western part of the map, with convenient traffic and a large number of people. The risk factor is 5. Sendan: Resource level 4, resource level 4 It is located in the south of the center of the map, with convenient traffic and a general number of people. The risk factor is 5. Ok, here are the resources of the new map brought to you in this issue. The whole content of the point grade is divided. I believe that all the players must have their own favorite footholds. Go to the game and search for it.